It was a year-long tale of beauty presented in 150 minutes of vibrance, pomp and elegance by 20 gorgeous models and backgrounded by Resorts World Manila’s (RWM) world-class talents. The grandiose stage dramatized 5 seasons: Valentine’s, spring, summer, rain, and Christmas, and allowed the contestants to compete in 4 runways. In the end, 26 year-old Alexandra Salmeron was crowned as the new Miss Resorts World Manila at the Newport Performing Arts Theater on Friday, November 23. In a final question and answer segment designed not to chastise the models but rather to shelf out their fascinating personalities, Alexandra shared that she considers her eyes her favorite trait as she got it from her Filipina mom. Also born with a Swiss father, she shared further that she likes her feet the least. “These are really big and I’m having a hard time looking for my shoe size in stores here”, she shared with a laugh. Her simple but honest answer gave her the title which came with over PhP800,000 worth of prizes. Obviously enjoying the most applause during the entire course of the Final Runway, Michelle Gavagan placed as the First Runner-up. Michelle earlier won the Amazing Race challenge and was also the Runner-up in the Social Media Model contest after garnering the second highest Facebook votes. Adjudged meanwhile as Miss Photojenic, Karen Gallman went on to finish as Second Runner-up. Chinita charmer Jillean Orbina, on the other hand, was later on proclaimed as Third Runner-up. 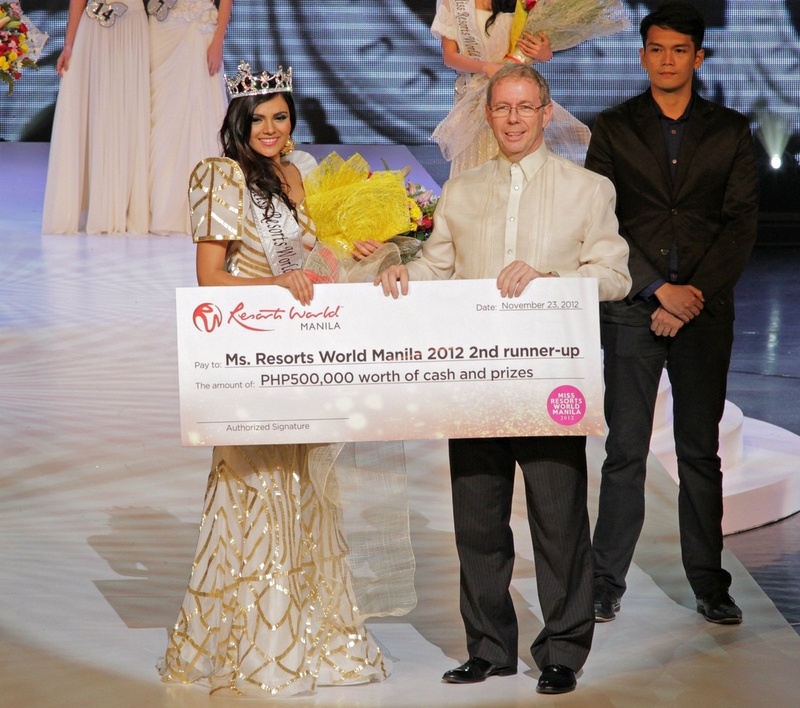 For eventual Fourth Runner-up Angeli Gomez, she expressed her intentions on trying Miss Resorts World Manila again once she will not be chosen as the winner. “I will try again next year”, the charismatic beauty shared in her final answer. Even if her participation was confirmed late, Ferina de Paz still managed to secure the Social Media Model award. She collected more than 2,400 votes on a special Miss Resorts World Manila app on Facebook in a span of 2 weeks. Before the Final Runway, already proclaimed winners of other special awards are Joanne Dagohoy as Best in Talent, Julian Flores as Darling of the Press and Zahara Soriano as Best in Swimsuit. 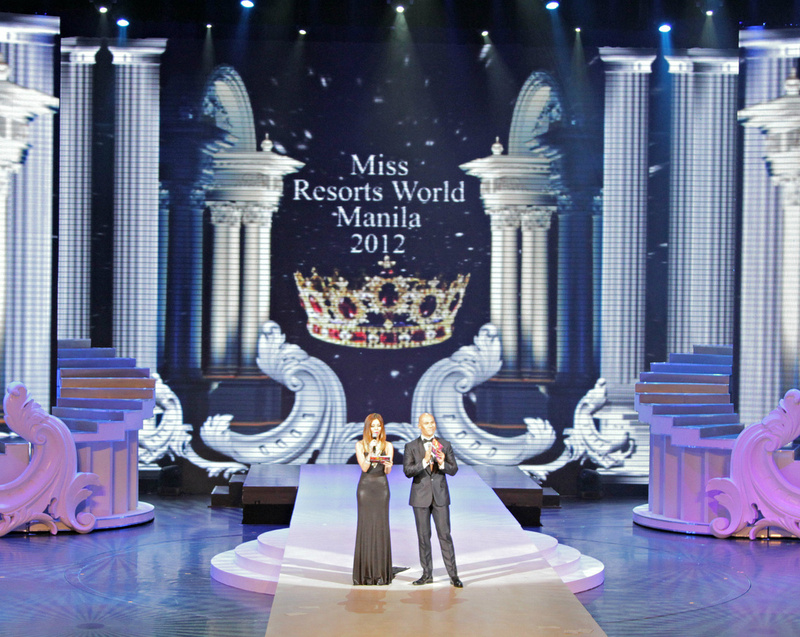 This has been the third Miss Resorts World Manila but the first time to host a modeling format. The already huge stage of the Newport Performing Arts Theater was adjusted with extended ramps to accommodate the event’s goal: showcase the beauty of a more fearless but still modest Filipina and to parade the world-class fashion designing skills of our textile artists from Cebu. The pageant started with the models portraying a carefree Filipina as they performed the smash Korean dance hit “Gangnam Style”. Celebrity hosts Rovilson Fernandez and Bianca Valerio also veered away from strict hosting and danced with the girls. After the fun, the competition began with an all-red evening gown collection representing the night’s first season, Valentine’s. The models took the ramp later on fluttering their butterfly-inspired fun wears showcasing spring which is only signified in the Philippines with the blossoming of the butterfly. Shortly, the magic fest turned to body fest as the models paraded on their swimsuits for Final Runway’s third season; summer. 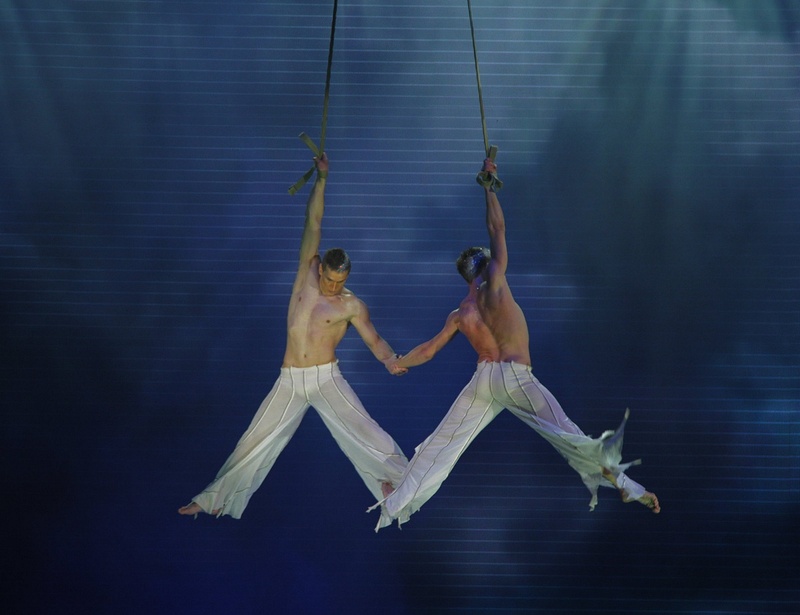 Acrobats and violin master Bryson Andres took the stage later on, enacting the sudden shift from summer to the rainy season. 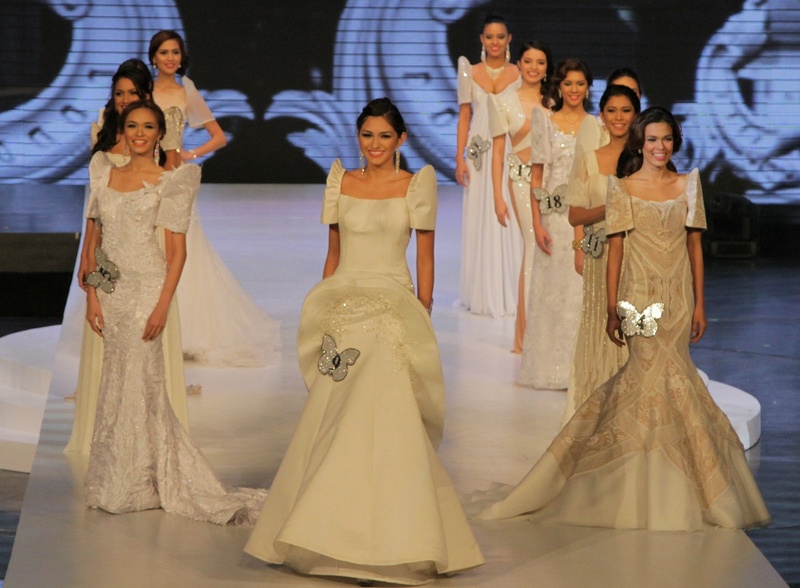 After this, the girls went centerstage in full elegance in their majestic all-white Ternos, concluding the 4-part runway contest. The visual fest and music spectacle were provided by world-class Bar 360 acts including Primo and The King And I’s Bo Cerrudo who ushered in Christmas mood in the event. Snow fell inside the theater as the Miss Resorts World Manila Final Runway also coincided with the start of Grand Fiesta. 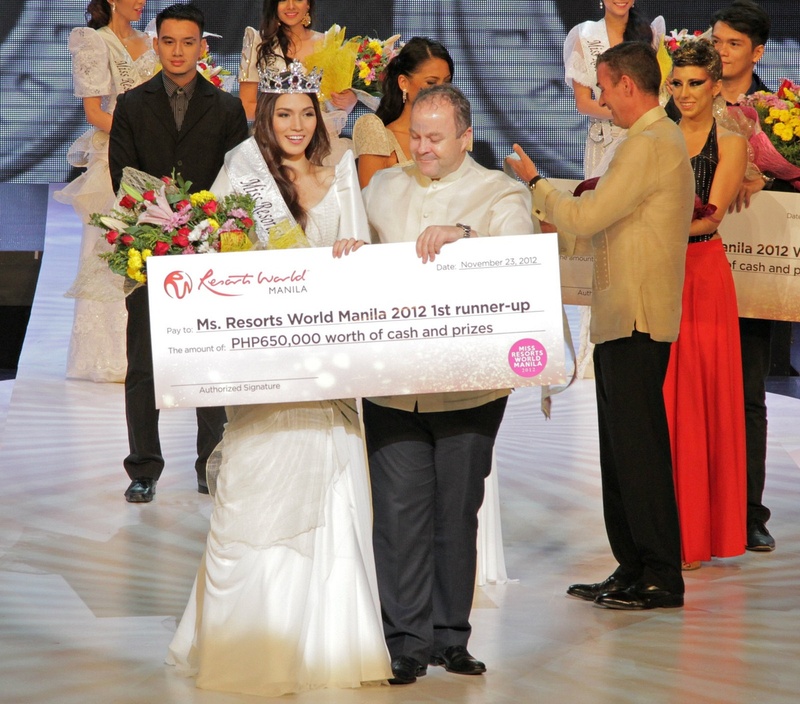 RWM’s first lady Miss Lulu Sian, Vice President for Entertainment Colin Kerr and ScribbleWorks’ head Tati Fortuna, meanwhile, helped picked the new Miss Resorts World Manila. 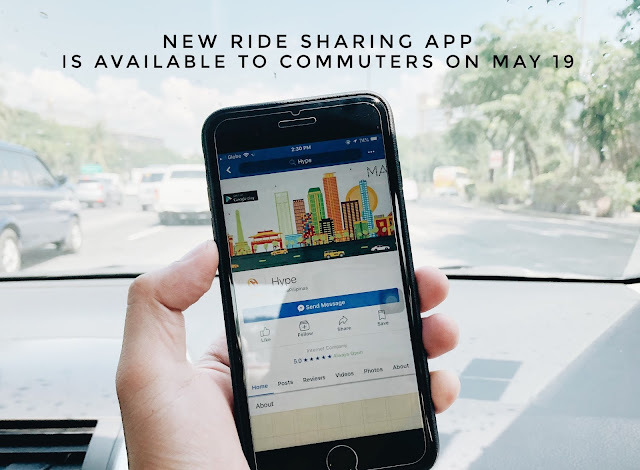 They were joined by Broadway and The Sound of Music actress Joanna Ampil and celebrity heartthrob and model Borgy Manotoc at the judging panel.